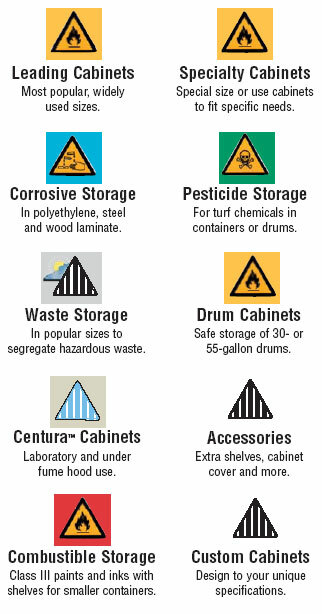 The type of chemical to be stored is standardized in the safety cabinet industry. Using color and labeling in your storage practices helps identify, organize, and segregate liquids. It also helps fire department personnel recognize hazards when responding to fire situations.